The Navy Seals developed it, professional athletes embraced it, and now you can try it at Pilates North! Join a core busting, muscle burning TRX class. Designed to introduce you to the straps and give you a feel of the Pilates North system. TRX workouts will increase your heart rate, challenge your abs, glutes, quads and arms. Get prepared to sweat! As with all our Pilates programs, the repertoire continues to evolve with our clients. 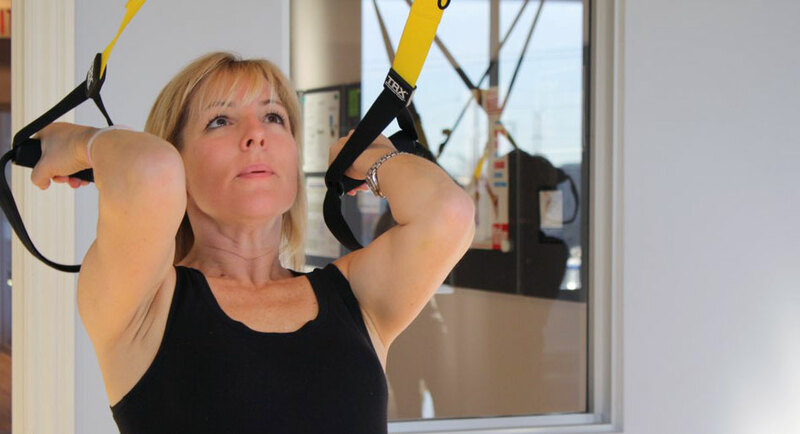 We invite you to try our TRX® classes, see for yourself just how far you can take your workout! There are no make up classes, credits or refunds for missed trial classes. The 55 minute workout is intense. 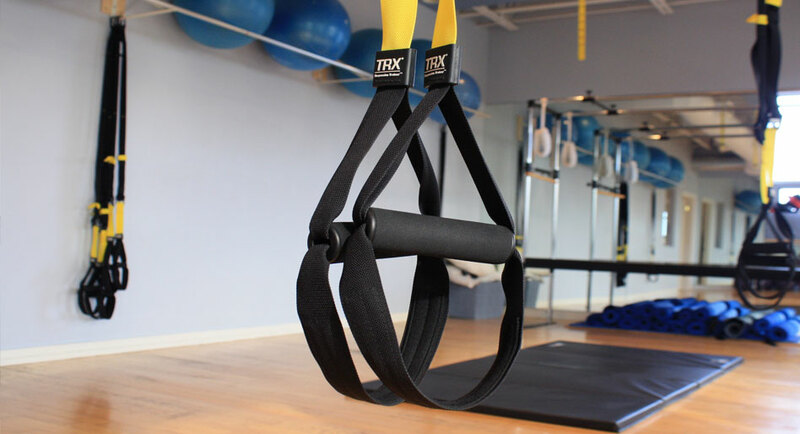 Exercises are taught to music and incorporate the TRX® suspension straps. The syllabus was designed exclusively for Pilates North’s clients. Keeping with our progressive style of classes, this is just another step towards continuing to challenge our clients bodies, helping them to attain their fitness goals. The system, which integrates TRX®, Pilates, Barre, Yoga and Resistance training into dynamic movement, provides a complement to the studio’s weekly classes, and is a great option for people who want to add cardio to their core work and challenge their entire body. Where are Pilates North TRX Classes held? 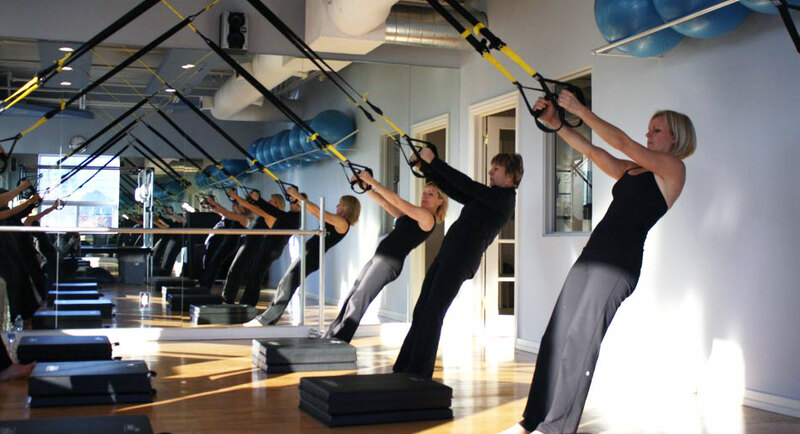 Our TRX classes are held at our Studio at 6 Scott Drive, Unit 201. Richmond Hill, Ontario (just north of 7 off Yonge Street) We also provide offsite training for sports groups/teams. It’s great that you offer Trial classes but what happens next? The 4 week TRX classes are offered as a way to introduce you to the studio and our method of training with the TRX. If you are enjoying the TRX workout you are welcome to sign up for our ongoing sessions which run in 8 week cycles. Before your trial ends we will provide you with available days and times which have space and can help you choose a class that works with your schedule. How many TRX classes should I take in a week? This is a personal descision. It depends on your needs and motivations. One class a week is great for people who are looking to cross train or add the core work to their weekly fitness routine, having said that people fall in love with the suspension system and often times sign up for 2 or three classes a week. The more you come the faster you see results. Of coarse you can. The movements are functional for everybody. We do suggest that people who are new to fitness and our studio also join in on a Pilates class. Pilates is a great way to learn proper form, and core work that provides an excellent base for the TRX training. I have TRX suspension straps, can I learn a home routine? The great thing about the TRX suspension straps is that they are portable. Many people who have purchased the straps and feel stuck in their workout or are looking for some correction to form. Attending one of our TRX classes can provide you with a routine that you can mimic at home or if you prefer you can book a private session and learn a few tricks, one on one. What should I expect when I first arrive at Pilates North? Expected to be welcomed into the studio. We love meeting new people 8 ). You will be asked to sign a standard liability release form and will be taken on a quick tour of the studio. We do our best to make you feel right at home. What do we do in the first TRX Class? The first TRX class focuses on teaching basic positioning and understanding how the straps work. You will learn how to maneuver your body weight with the system. These principles will be applied to a variety of functional exercises to engage your core, strengthen / lengthen your muscles and a to increase your heart rate. How long are the TRX classes? Classes are 55 minutes. We start promptly and will sometimes run the full hour. 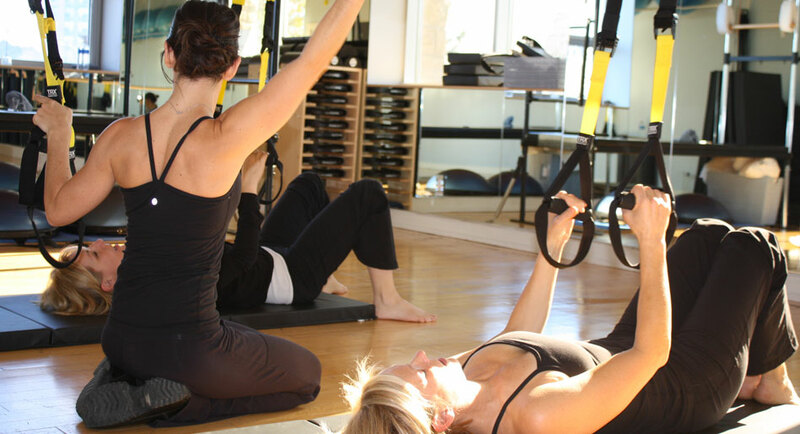 Are these the only times you offer TRX classes? We are proud to offer over 60 registered Pilates classes per week. This page only lists our Trial classes. The full TRX schedule is available by request. If you have previous TRX experience we would be happy to assess you for entry into one of our regularly scheduled classes. What happens if I miss one of the trial classes? Sorry there are no makeup classes for the 4 week trials. Our full session registrations do have makeup classes available, but those makeup classes are reserved for those who have enrolled in our 8 week programs. I have more questions is there someone I can talk to? We are happy to work with you one-on-one or in a small group to customize a workout with your goals in mind. We work with athletes, teams and individuals who are cross training. Simply fill out the request for below and we will set up your own unique program.